Elegant and timeless, this dainty drop design is inspired by precious vintage necklaces. Classic and chic, our Vintage Elegance Necklace captures the sheer beauty of precious diamond and pearl vintage jewellery from late 1940s Hollywood. 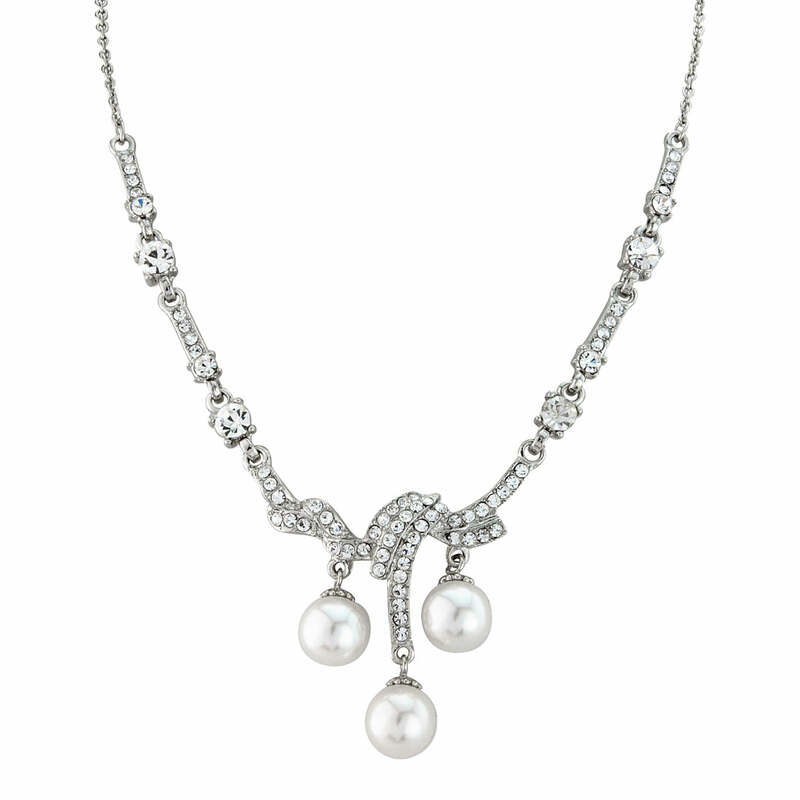 With a sparkling Austrian crystal centre knot design leading to three light ivory faux pearl droplets, this divine necklace is the epitome of understated glamour. Fabulous worn alone or with coordinating Vintage Elegance Earrings for classic Starlet style, this is perfect for all occasions from a dinner date to a glitzy evening event. An exquisite bridal necklace for the bride who adores more subtle vintage wedding jewellery from 1940s Hollywood, this enhances all styles of bridal gowns with effortless elegance. I spent a lot of time browsing and searching before I made my decision to buy. In the end it was down to the necklace that will look best with my dress and my head-dress which I had already bought. On receipt I was absolutely delighted because this necklace looks even more beautiful in real life. I am so glad I chose it and can't wait to wear it. I suspect I will wear it on many occasions afterwards. Thank you so much, Glitzy Secrets!